When I'm in a rush and can barely think about what I'm buying, there are few items that I instinctively pick up every time. No questions asked, they're in my basket because I couldn't survive without them. What are you drugstore staples? 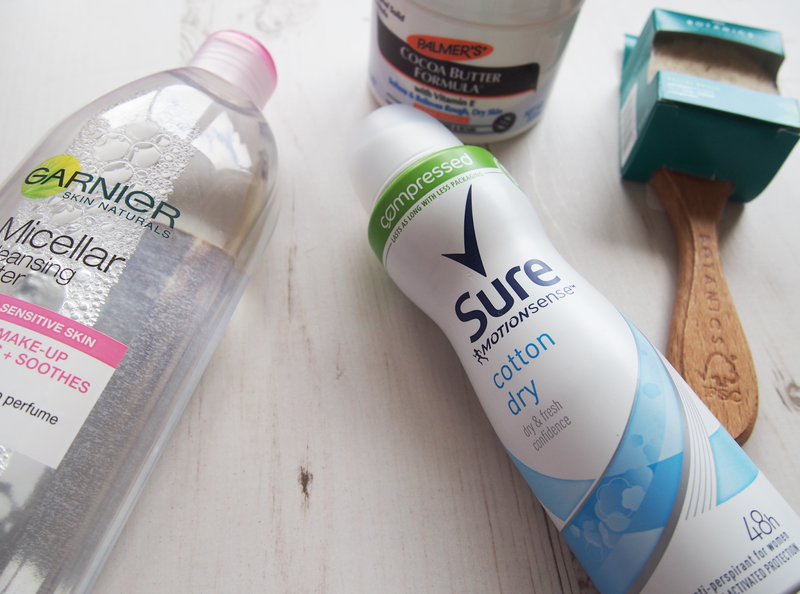 If I had to pick one deodorant to survive with forever, at the moment I would definitely choose Sure's Motion Sense Cotton Dry Spray. Its handy because its nice and compact, I always have one in my handbag and one at home. On the go its always helpful and the smell is not too strong but it certainly does the job. What's your go to deodorant? 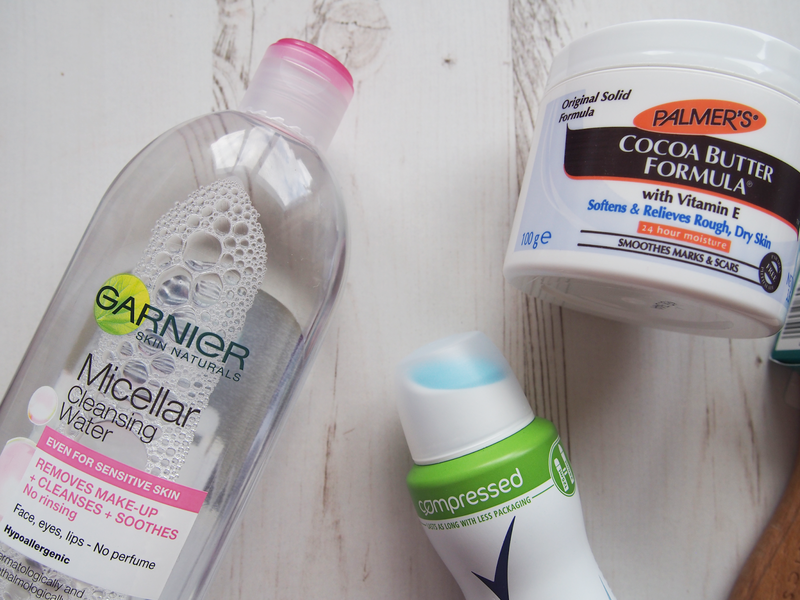 Over the years, Garnier's Micellar Cleansing Water has become more and more essential in my skincare/daily life routine and I've found more ways to use it so much so that now its an absolute must. As well as makeup removal, I often use this Micellar water as a base cleanse, a refreshing mid day cleanse and an all purpose facial cleanser when I'm in a rush or feeling a little bit lazy. I only wish that I'd gotten my hands on a travel sized version, that would be beyond perfect. Regular readers will be more than familiar with this facial brush by now; whenever the subject of exfoliating comes up this brush is always mentioned. 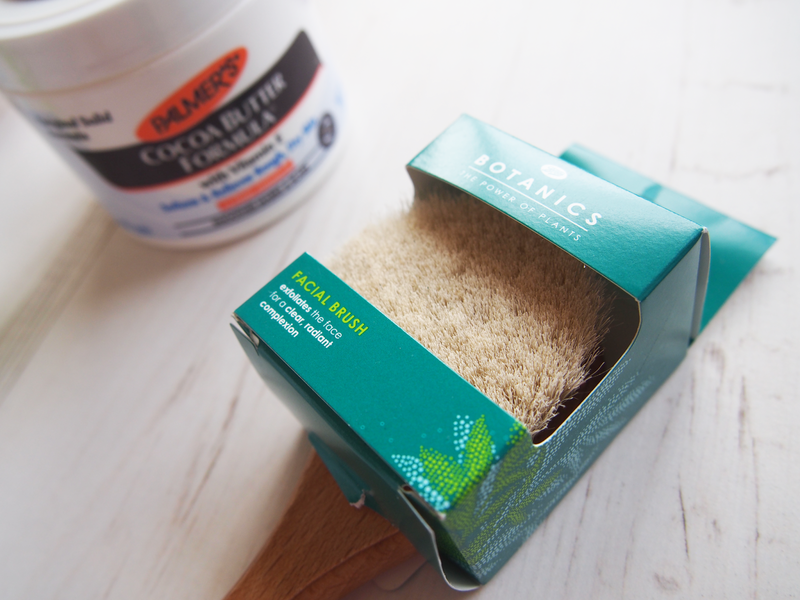 The Boots Botanics Facial Brush is a super soft, gentil cleansing tool that reduces redness after exfoliating but its material allows for an even, clean finish. At £6 for the quality you get, it couldn't be more of a bargain if you ask me. I've finally managed to track it down online as before Boots didn't have it on their site, so I highly recommend you check it out. Plus, if you haven't already, definitely consider purchasing a few items from the Botanics range; its affordable, natural and absolutely amazing. 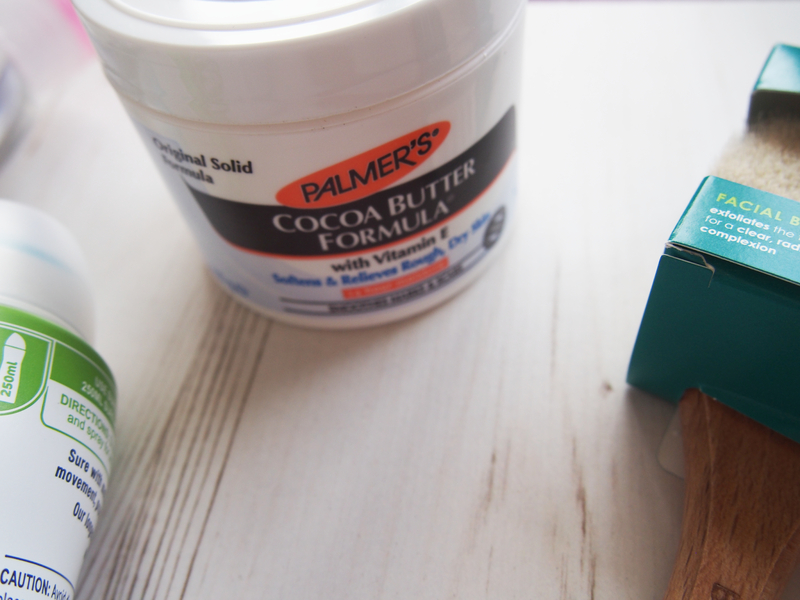 I think we've all got a memory or two from our childhood when we've encountered Palmer's famous Cocoa Butter Formula. I don't know what it is but this coconut derived cream is probably the best all round skin moisturiser you can get today. Its smell is to die for, I never have dry skin when I'm using it and it's one of the most affordable moisturisers you can get. Its uses are endless; cuticles, after shower moisturising, emergency facial moisturiser (if nothing else will solve a dry patch), and anything else you can think of. What's your go to all purpose cream? What are you drugstore staples?